We offer unique recruiting solutions for hypergrowth, high tech companies. We’re passionate about building mutually beneficial, long term relationships between employees and employers, and understand great businesses are built with great talent. Finding the right talent for companies experiencing accelerated growth is what we get excited about, and this excitement readily translates to all parties involved in the search. Our approach is to have highly personalized and informed interactions with everyone we’re in contact with during the hiring process. Having a deep understanding of all pieces of a search allows us to consistently deliver great talent for our clients, especially those with a high sense of urgency. We see this as the core of our business. Establishing long term relationships with both clients and candidates is the foundation of our company and success. Our team strives to exceed the expectations of our clients in delivering not only the best technical fit, but also the cultural fit that will allow the candidate to achieve both personal and professional success. A professional approach to us means that we strive to exceed expectations, we don’t make promises we can’t keep and we don’t waste anyone’s time. 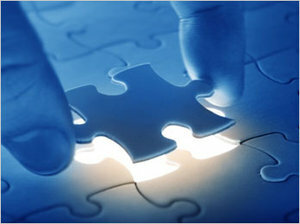 Above all, we focus on ensuring a mutually successful experience with all our clients and candidates. We strongly believe in an honest work ethic, one that allows us to ensure we deliver on our commitments. This translates into everything we do. Our clients value this level of trust and quality of service. Our team is experienced and knows the industry well, and prides itself on having a deep understanding of our client’s business and culture. We consider ourselves an extension of our client organization, enabling us to translate what is exciting about the client’s vision and goals to equally inspired and qualified talent. The foundation of our business is our relationships with clients, both companies and candidates. We have success because our clients appreciate our professional and passionate approach, and trust in the work we do. Facilitating these relationships truly makes us happy.